Rework of an old but beloved piece of jewelry-again for Sue Canavan. I replaced the turquoise and bezel set the original (gold?) 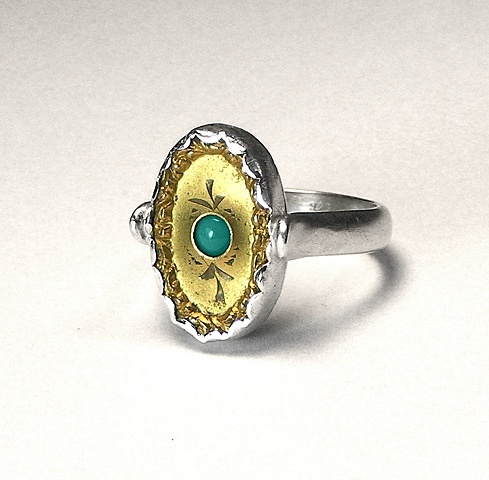 piece as a ring.